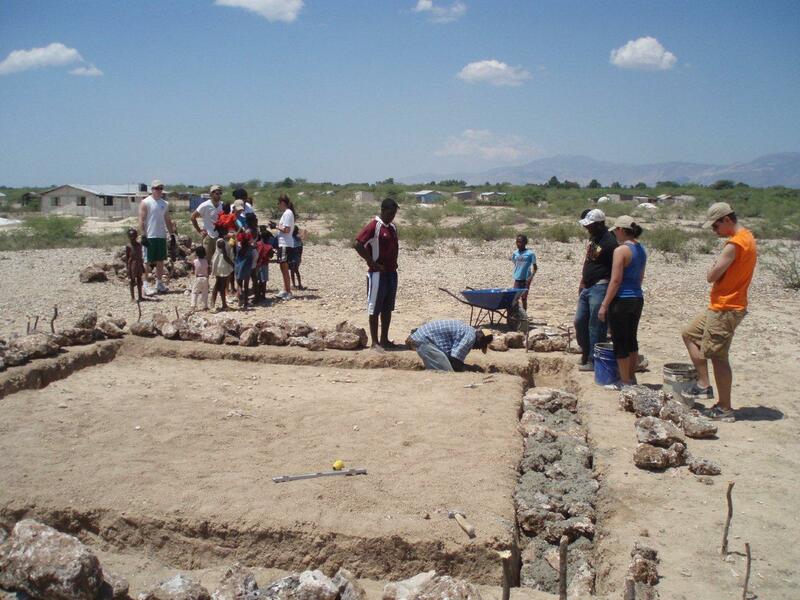 In March, a group of ten University of Cincinnati students took part in an Alternative Spring Break service trip to Haiti. A first for all of us, this trip was organized through an on campus organization that provides alternative winter and spring break trips, Serve Beyond Cincinnati (SBC). Our group arrived in Port-au-Prince on Saturday March 19th and got settled in for our stay at a secured compound in the city ran by the Jesuit ministry Foi et Joie, translated as "Faith and Joy". After having dinner, the team spent the evening getting to know more about the country and the upcoming presidential election. We rode in the "tap tap" everywhere each day and that was an adventure in itself! On Sunday, election day, we went to a beach called Paradise Island; afterwards, we drove through the city and saw the devastation the 2010 January earthquake caused the city, including the collapsed Presidential palace. It was clear to all of us already that there was a great amount of uncertainty in the country and we had to be flexible throughout the trip. Etang Saumatre, is home to over 25,000 people. Most of them live in mud and thatch roof houses which are not permanent. We were starting the project in the community to build safe and permanent homes for the families, some who moved from the city after the earthquake. As we drove in, we were all so glad to see that there was a primary school and high school for the children and many of them were out playing on a morning break. There was a volunteer center on site for future teams that was not quite finished so we went to work right away cleaning out the building and getting it ready for upcoming volunteers. 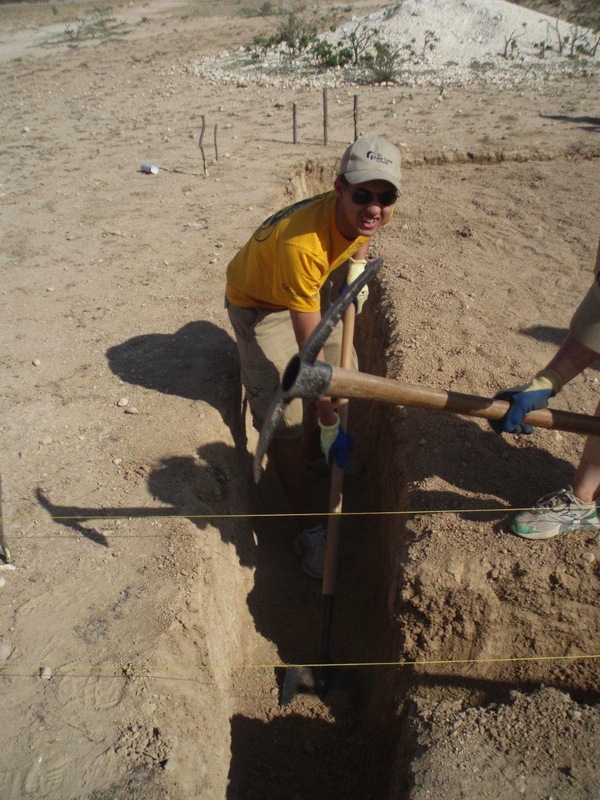 Some team members began digging a footer for a home, the first to be built in Balan! As the day went on and the temperature rose, we found ourselves taking breaks to play with the children and talk with some families living nearby. Our team was the first in Balan and it was our job to be embassadors to the people and get them excited about the work our team and future teams would be doing there. On Tuesday we continued the work on the footer and cleaned the land around the volunteer center. We even found some time to play "duck duck goose" with the school children. 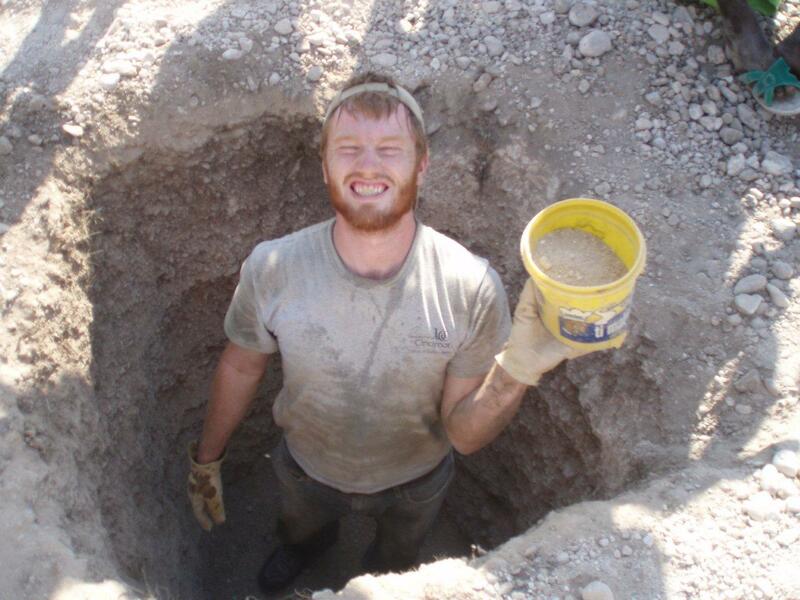 The next day our group dug a latrine for the family that will one day live in the home that we were starting. We then used the dirt to level off the land inside the footer of the home. We finished up this work on Thursday along with a few other small jobs. That afternoon we stopped by a UNICEF clinic and a hardware store. Friday was a little different than the other days because we spent part of the morning organizing the donations we all brought and the early afternoon distributing them to the people of Balan. This was an overwhelming task, but it was great to give items like soap, clothes, shoes, pencils and toys to so many people in Balan. Our team spent our evenings in the compound playing card games, hide-and-seek, building camp fires, and reflecting on the experience in Haiti. The SBC team spent a lot of the work week with the people, especially the children. 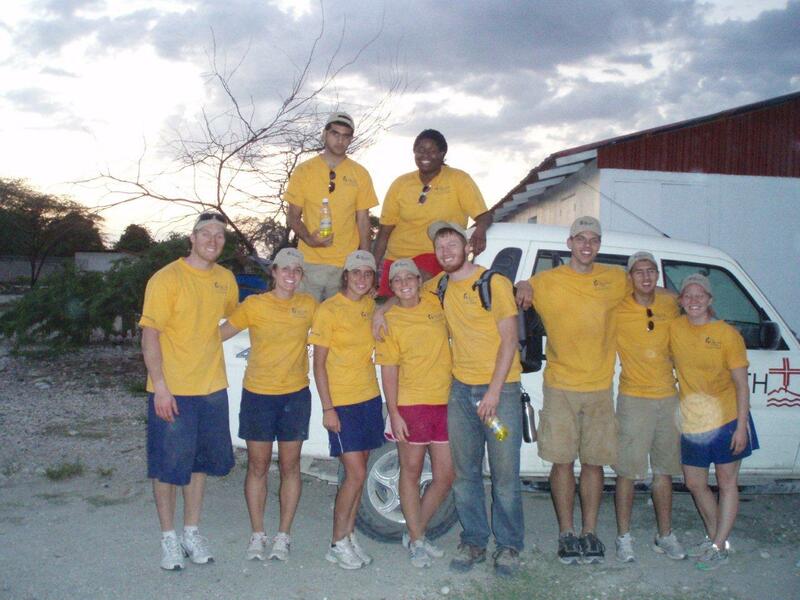 This trip certainly taught us all about the need in Haiti and the vast number of ways we could help out. The work in Balan was tough and also rewarding. We look forward to sending another team of students to Balan in December to continue working towards the goal of providing permanent housing for all families.